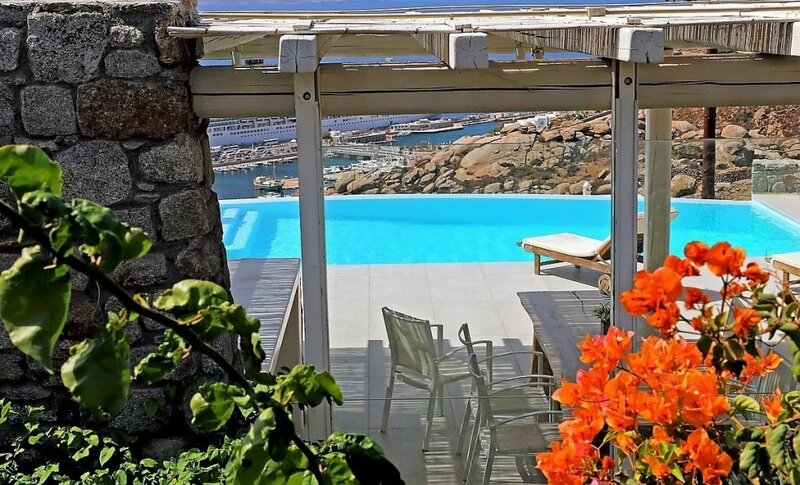 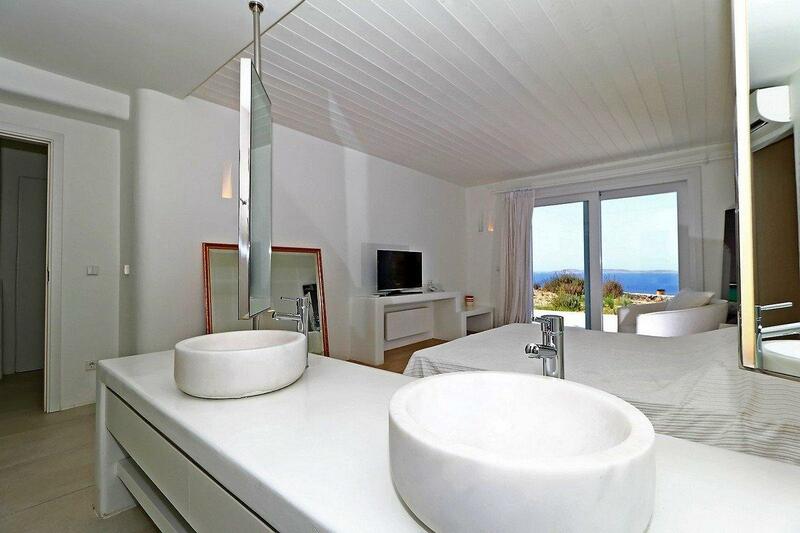 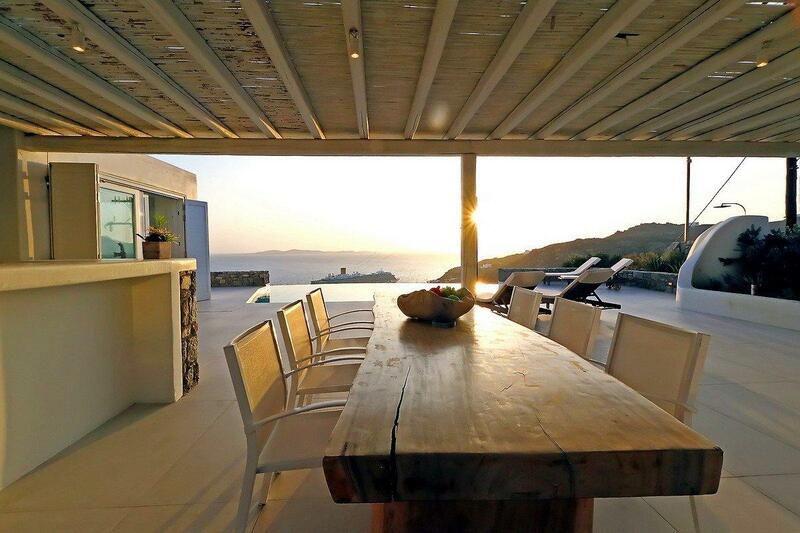 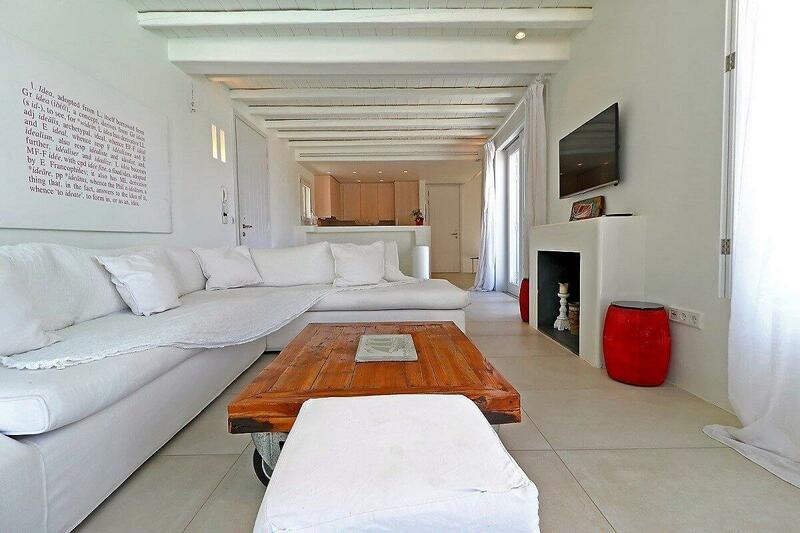 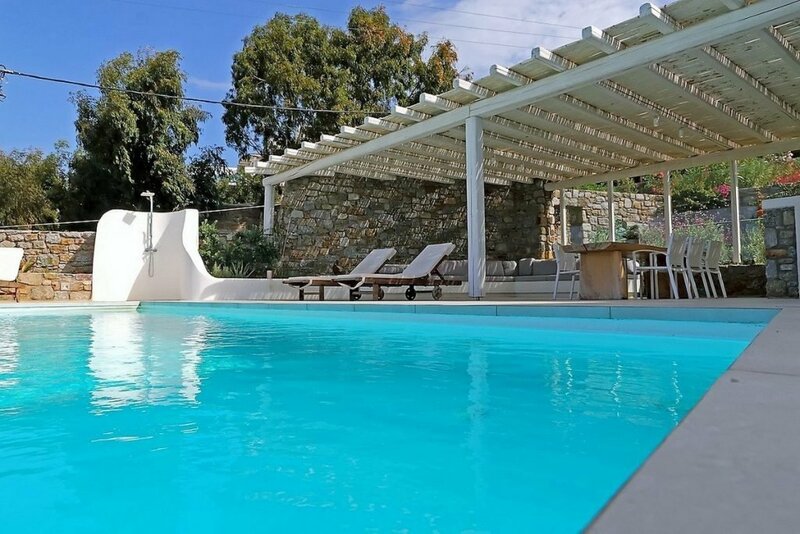 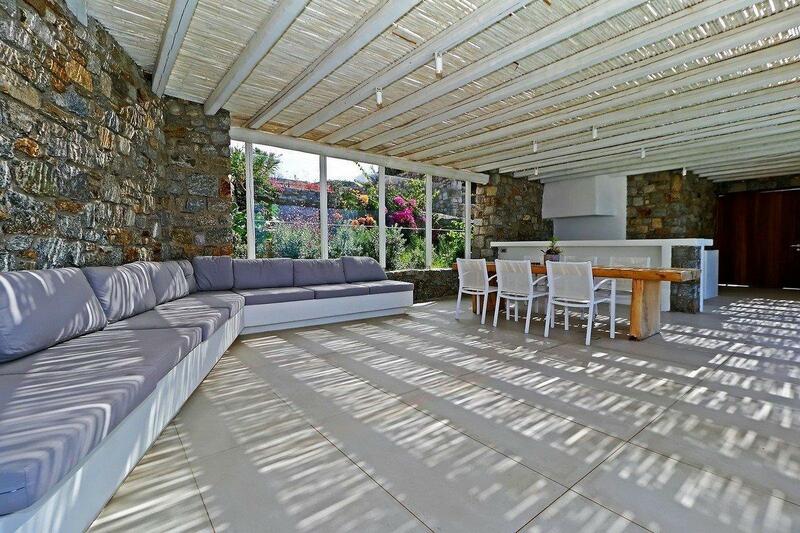 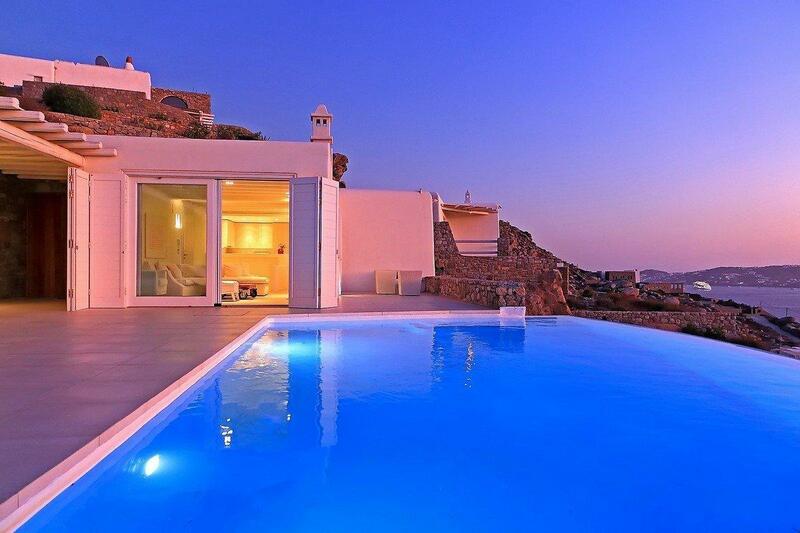 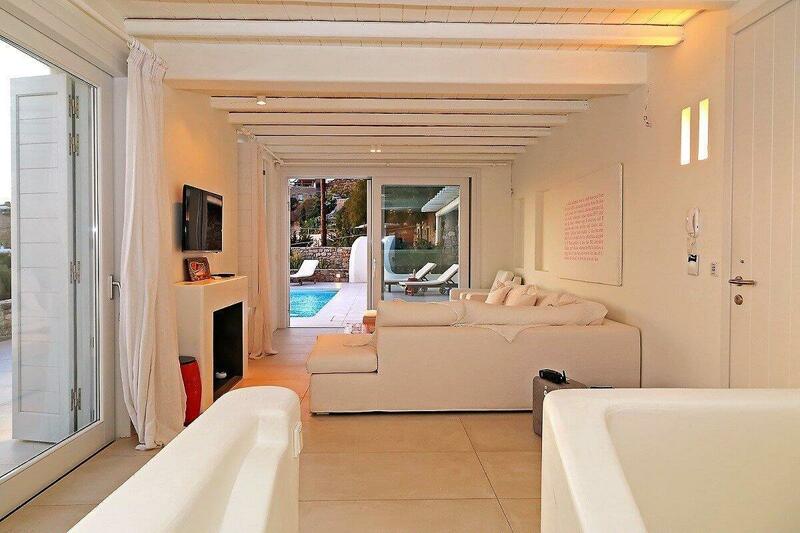 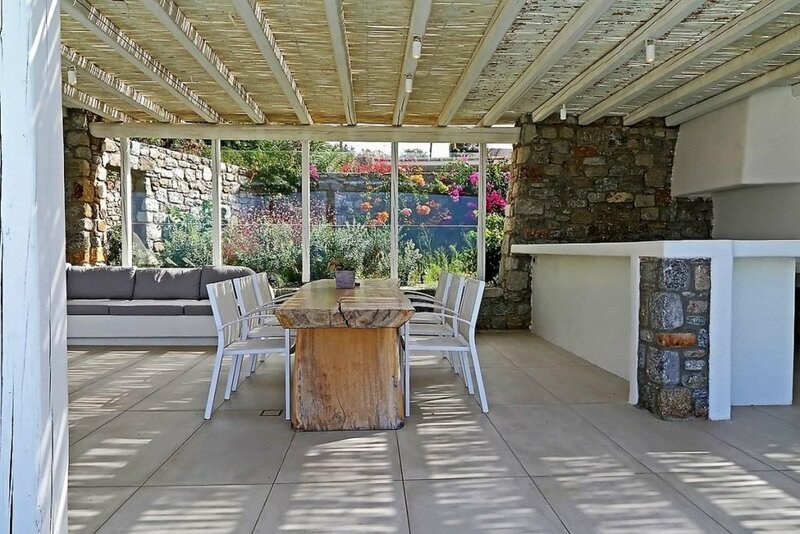 Villa Lena is ideal for a family looking for luxurious and modern accommodations in Mykonos. It can comfortably accommodate 6 guests in the 3 rooms of the property, consisting of the main Villa and a guest house. 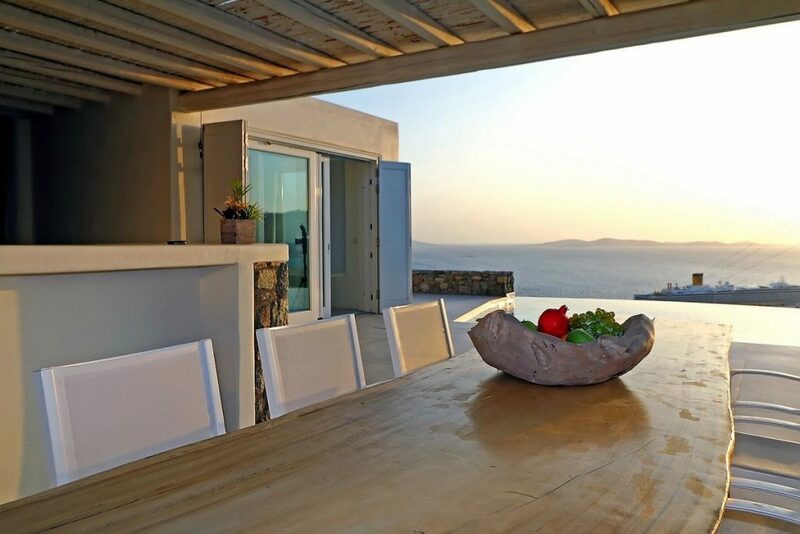 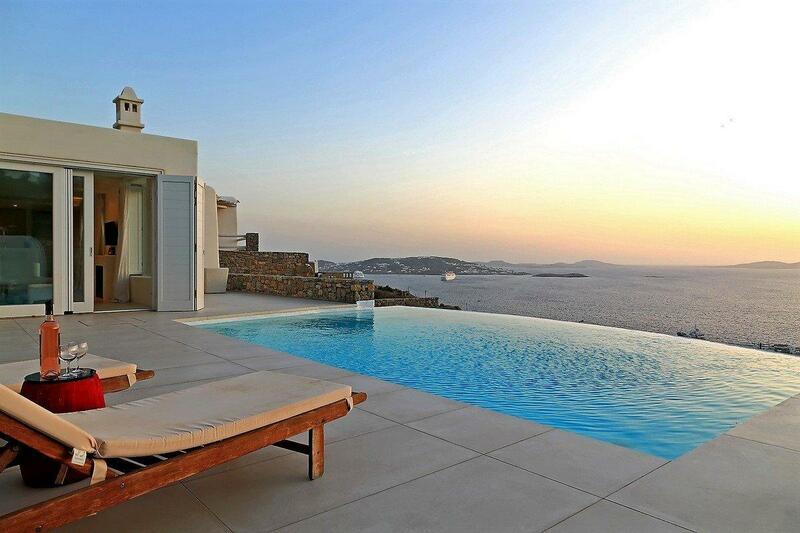 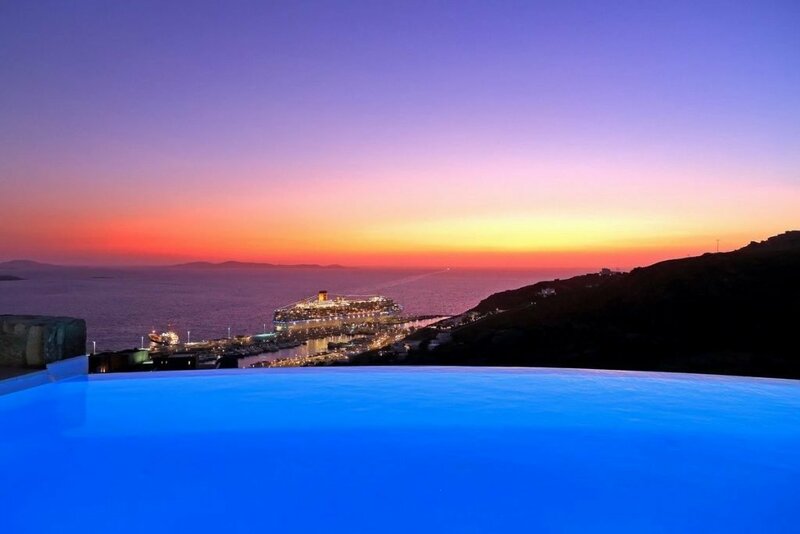 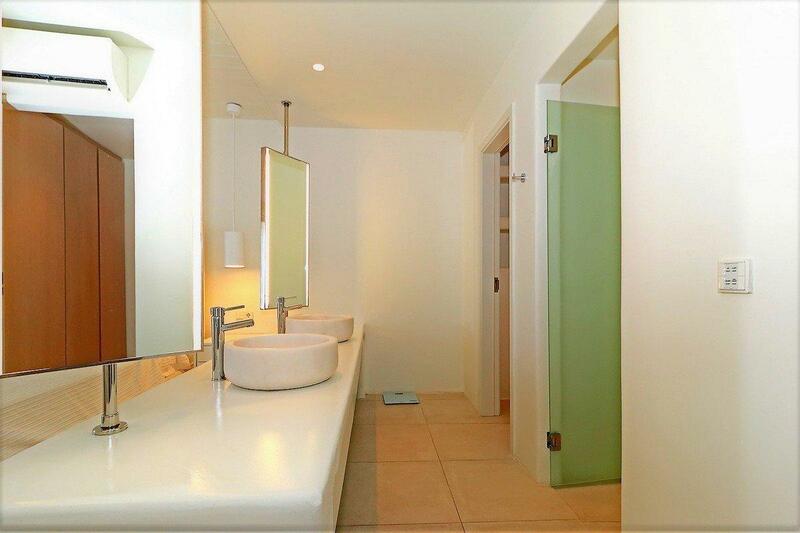 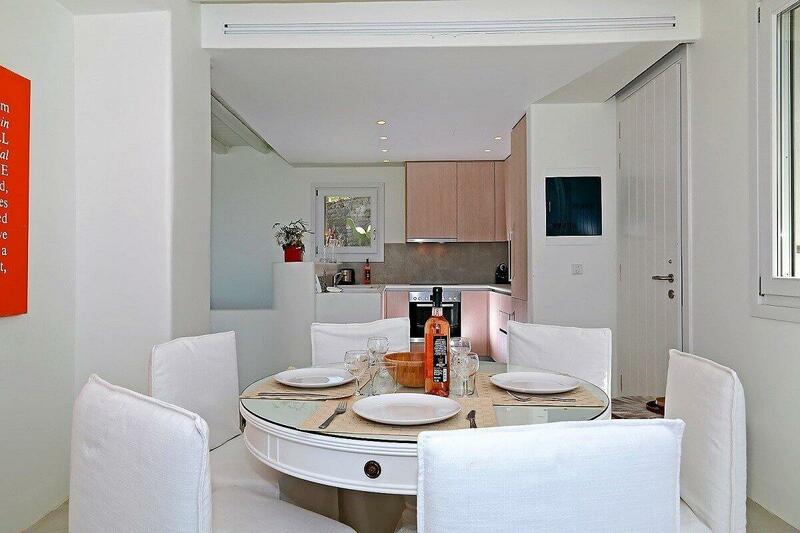 The exceptional location allows easy access to the vibrant town of Mykonos since it is only 3,5 km away. 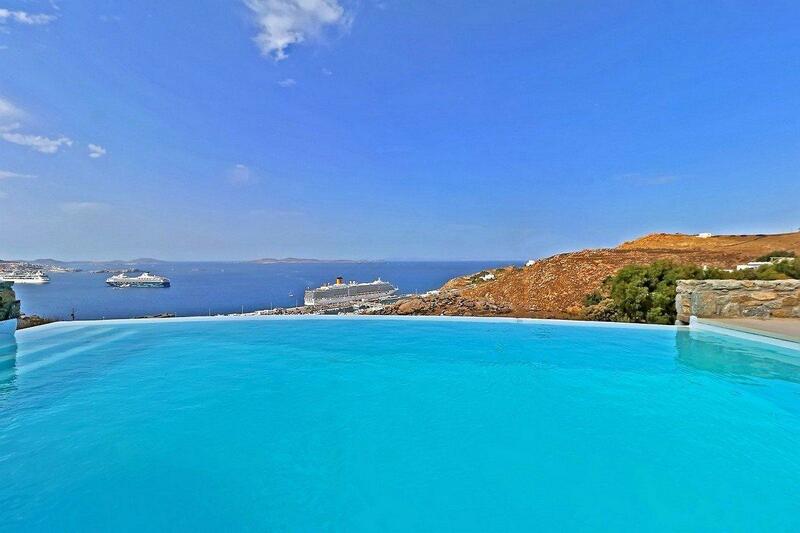 An astounding view can be appreciated while floating in the waters of the private infinity pool. 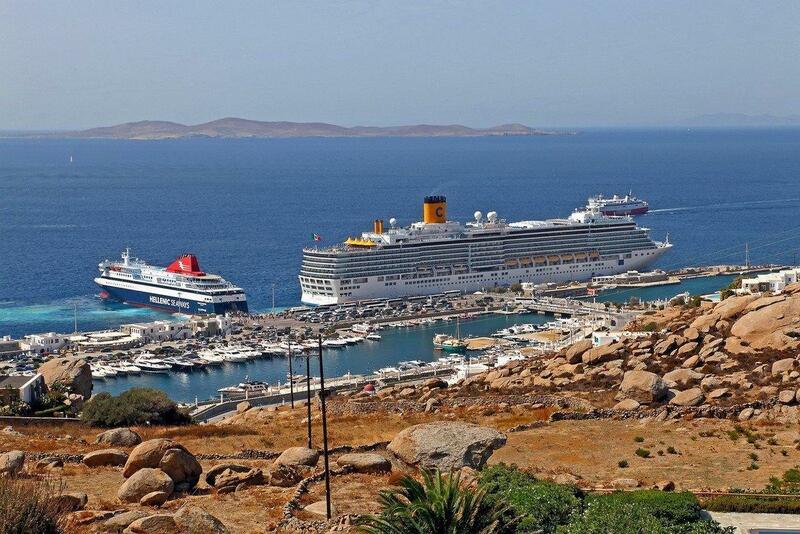 Boats can be viewed gracefully entering and departing from the harbour. Step out of the pool and pour a glass of champagne from the sun deck's bar and head for the sunbeds, this is your time. 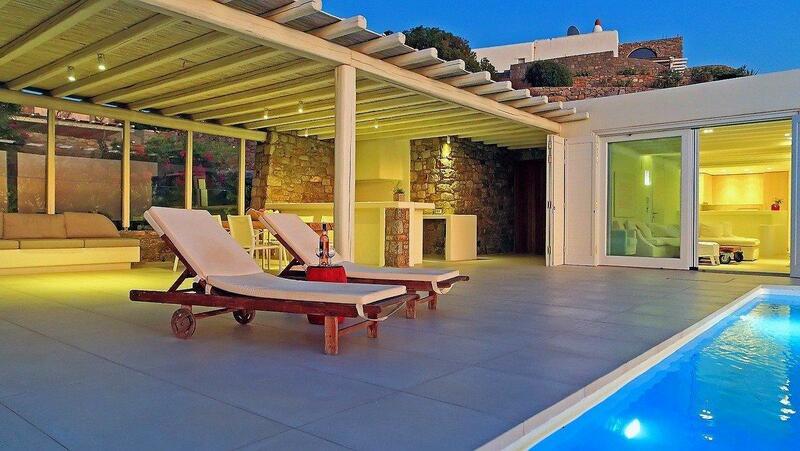 The newly built Villa bears a contemporary and minimal design. 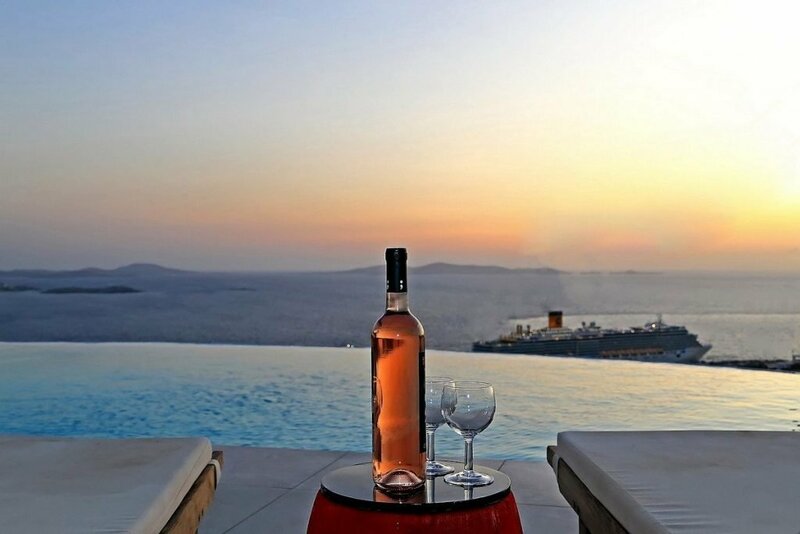 You will be delighted to return to the Villa for a relaxing nightcap after an entertaining night on the town. 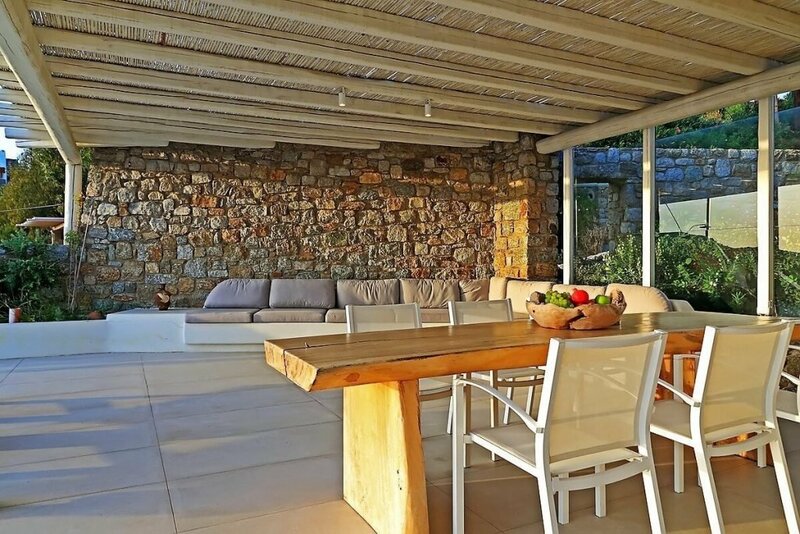 On the upper level, you can spend quality time with your guests in the living room or stroll over to the fully equipped kitchen and prepare something lovely. 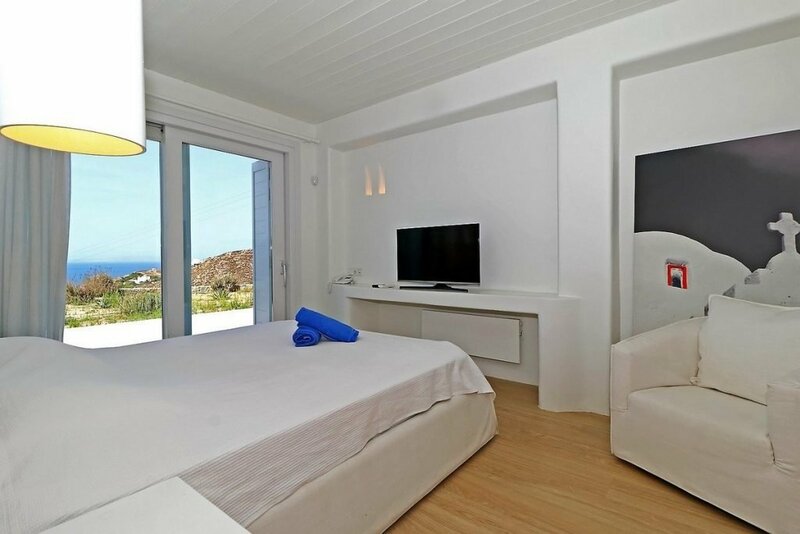 Daily housekeeping is included for the period you visit the property. 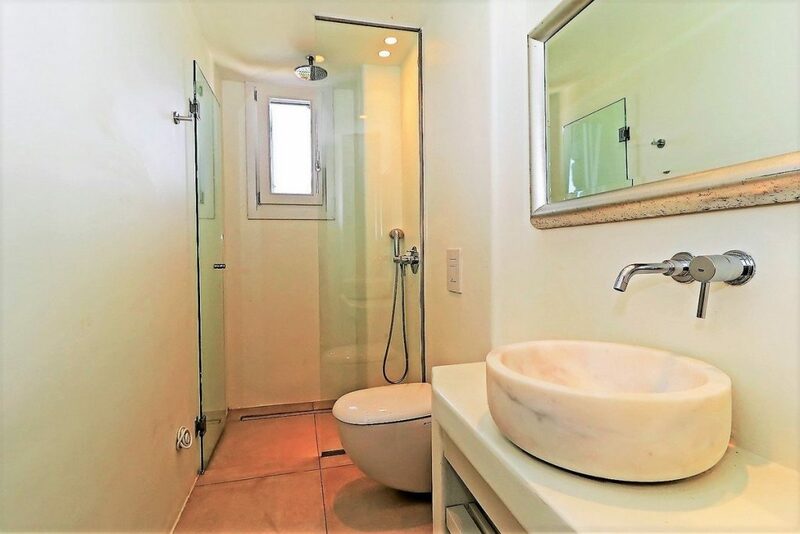 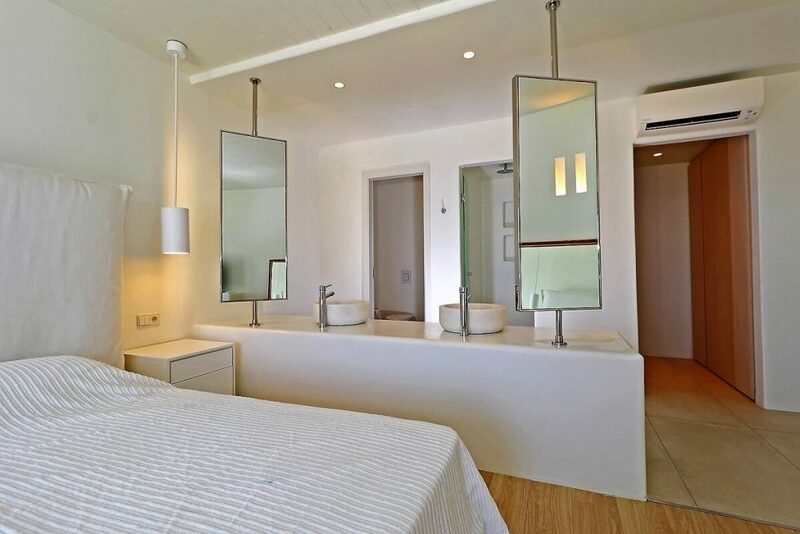 A double room with en suite bathroom (shower room, toilet room, double vanity, bidet, double bed, A/C, TV, terrace access, sea view, safe box), a double room with en suite bathroom (shower, double bed, TV, A/C, sea view & terrace access) and a guest W.C.
Infinity private pool, bar, seating & lounge area, sunbeds, BBQ area, outdoor shower.